But many in the Church have not learned from Munich about the folly of appeasement. 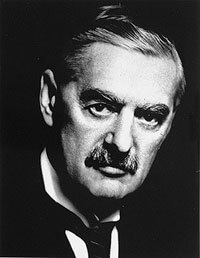 As the saying goes, ‘Those who cannot learn from history are condemned to have George Santayana quoted at them.’1 But many in the Church have not learned from Munich about the folly of appeasement. While modern science owes its existence to Christianity whereas it was stillborn in other cultures,2 atheists now often use science (or rather, materialistic philosophy masquerading as science) as a powerful weapon against the church. 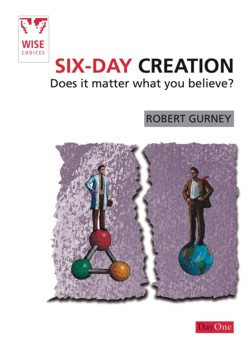 The Apostle Paul states that the evidence from creation is so powerful that people are ‘without excuse’ for disbelieving in God (Romans 1:18–32). But if evolution were true, then according to the leading evolutionist Stephen Jay Gould, the living world shows no evidence for creation: ‘there’s nothing else going on out there—just organisms struggling to pass their genes on to the next generation. That’s it.’3 So if evolution were true, there is no evidence for a God from what has been made, but evidence only for ruthless struggle for existence. So why would unbelievers be ‘without excuse’ if evolution were true? The Apostle Peter says that ‘scoffers’ would be ‘willingly ignorant’ of the fact that the whole earth was deluged and destroyed (2 Peter 3:3–7). But if millions of years were true, then there could have been no Noachian Flood, or at least not one that left any traces (e.g. sedimentary rock layers and fossils). So how could the scoffers be held culpable for ‘deliberately ignoring’ the fact of the Flood if there were no geological evidence? 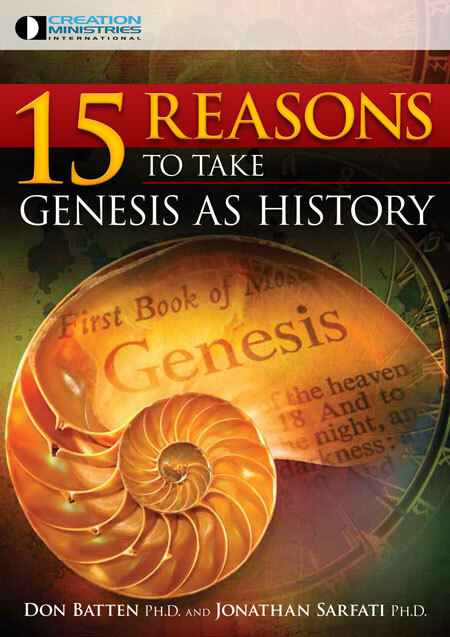 In the early19th century, many in the church capitulated to the long-age dogma of Hutton and Lyell, ignoring the scientific problems and spiritual warnings of the Scriptural Geologists.4 And after they had accepted geological evolution, they were powerless to resist Darwin’s biological evolution.5 First, they had already jettisoned Genesis as a source of authority. Second, Darwin could link slow and gradual geological processes with slow and gradual biological processes. Third, without the history of Creation, Fall, Flood and dispersion, they had no real history at all. 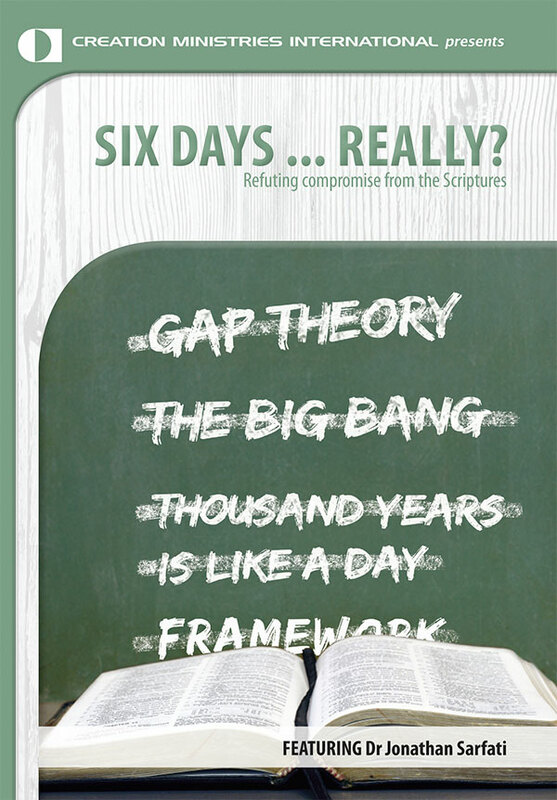 Darwin could easily refute the counterfeit creation ideas of the compromised church. These included God creating disease germs and carnivores as such (ignoring the Fall and Flood),6 extinctions (Flood), and creatures in their present location (ignoring the Flood and dispersion). And like Hitler, why should atheists make any concessions when the enemy is displaying such craven weakness? In reality, all the concessions are on the churchian side. The atheists concede nothing of value in return. Why shouldn’t they hold out for still more appeasement, while they use the Christians’ weapons against them? What should the Church do instead? Similarly, far too many in the Church failed to stand firm on the direct teachings of Scripture (as opposed to models used to explain its teachings9 ). Now much of the Church needs to recover its main weapon, the ‘Sword of the Spirit’ (Ephesians 6:17). And it’s vital that those in the Church are trained to use it as well as to defend it, as the apostle Peter commands (1 Peter 3:15), and to destroy the opposing spiritual strongholds by demolishing arguments (2 Corinthians 10:4–5).10 And since much of the world’s attack is on the Bible’s history, that must be a major focus of our efforts. The famous “battle” quote has been attributed to Luther for decades, including by Francis Schaeffer. But though Luther said many similar things, this quote did not actually come from Luther but from a 19th century novel about Luther and the Reformation. See Where the battle rages—a case of misattribution. Cf. ‘Those who cannot remember the past are condemned to repeat it’—Santayana, G., The Life of Reason, Constable & Co. Ltd., London, p. 82, 1954. Return to text. Stark, R., For the Glory of God: How monotheism led to reformations, science, witch-hunts and the end of slavery, Princeton University Press, 2003; see also review by Williams A., The biblical origins of science, Journal of Creation 18(2):49–52, 2004; <creation.com/stark>. Return to text. Wieland, C., Darwin’s real message: have you missed it? Creation 14(4):16–19, 1992; <creation.com/realmessage>. Return to text. Mortenson, T., The Great Turning Point, based on his Ph.D. thesis at Coventry University, <creation.com/turning_point>; Philosophical naturalism and the age of the earth: are they related? 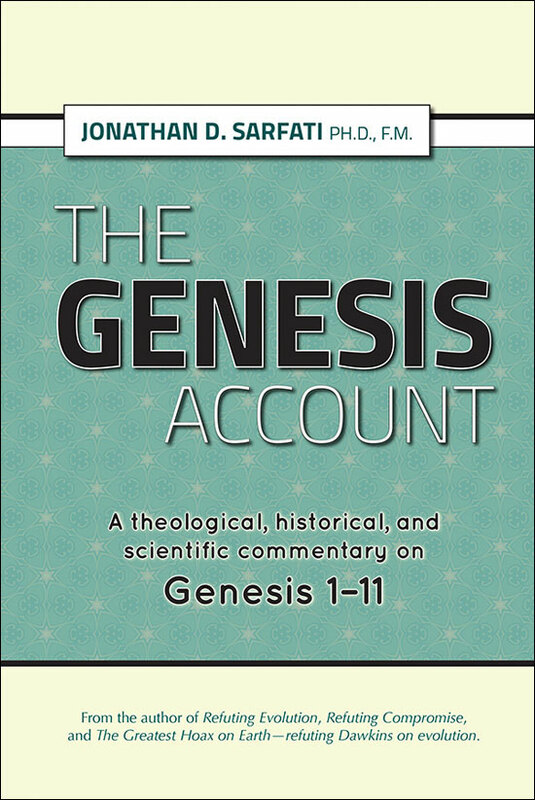 The Master’s Seminary Journal (TMSJ) 15(1):71–92, Spring 2004, <creation.com/naturalism-church>. Return to text. 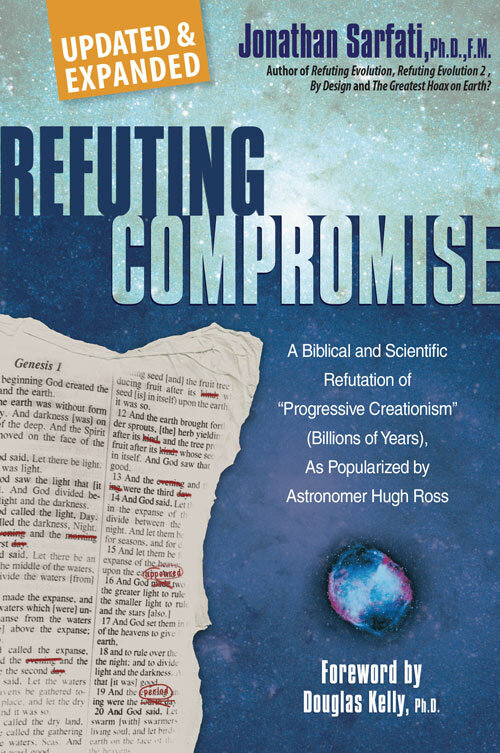 See Sarfati, J., Refuting Compromise, Creation Ministries International, Australia, ch. 8, 2004. Return to text. See Sarfati, ref. 5, ch. 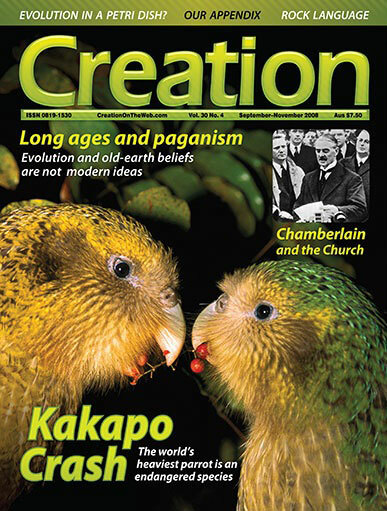 6; and Batten, D., et al., The Creation Answers Book, Creation Ministries International, Australia, ch. 6, 2007. Return to text. Manier, J., The New Theology, Chicago Tribune, 20 January 2008; <www.chicagotribune.com/features/magazine/chi-080120evolution-story,1,1644498.story>. Return to text. Wieland, C., Death of an apostate, Creation 25(1):6, 2002; <creation.com/apostate>. Return to text. Wieland, C., ‘Hanging Loose’: What should we defend? Creation 11(2):4, 1989; <creation.com/hanging_loose>. Return to text. 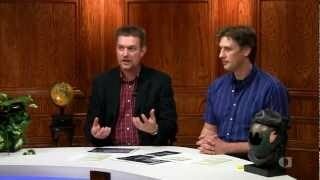 See Christian Apologetics Questions and Answers, <creation.com/apologetics>. Return to text. Cited in Schaeffer, F.A., The Great Evangelical Disaster, Crossway Books, Illinois, USA, pp. 50–51, 1984. Return to text.